Little Miss Makes is a lifestyle brand that's doing handmade home decor products and accessories inspired by vintage French themes. 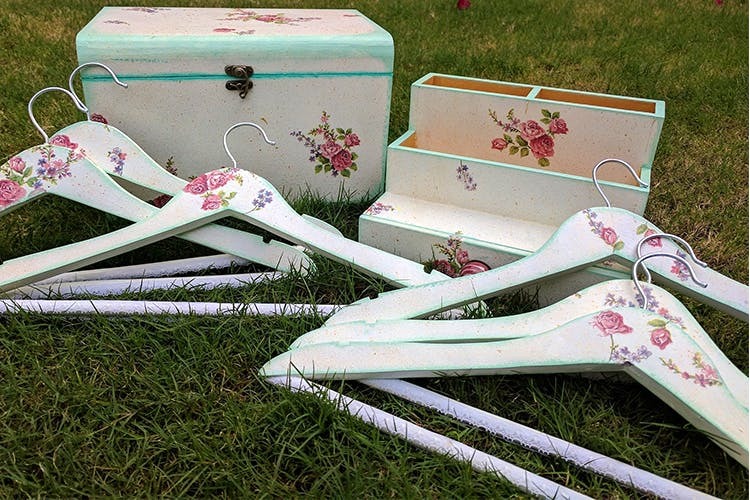 Toadstools, hangers, curated gifting boxes. We love anything handmade as it is–throw in the fact that it has vintage French tones and the aesthetic appeal goes through the roof. Little Miss Makes does exactly that with their accessories and home decor products. The designing takes the centerstage here–with light and bright colours, and prints and designs that add character anywhere you place them, Little Miss Makes knows how to score a 100 visually. They've got stuff like colourful toadstools made of wood, floral print tissue boxes, hangers for your wardrobe, quirky bookstands, curated best man and bridesmaid boxes, all the way to table and chair sets for kids and cups you'll love drinking your morning tea out of. They are super prompt on their Facebook page, so if you need to inquire about pricing or have any queries, hit them up there.